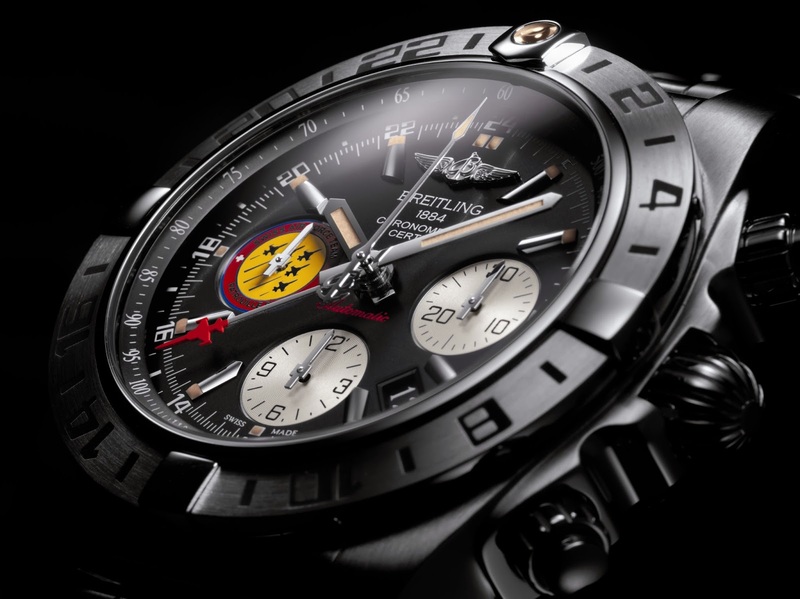 I love a good Breitling video. Testosterone, machismo, manliness – yep everything inside me fettered by the exterior husk that is the body I live in. But you let me dream and for that I love you. 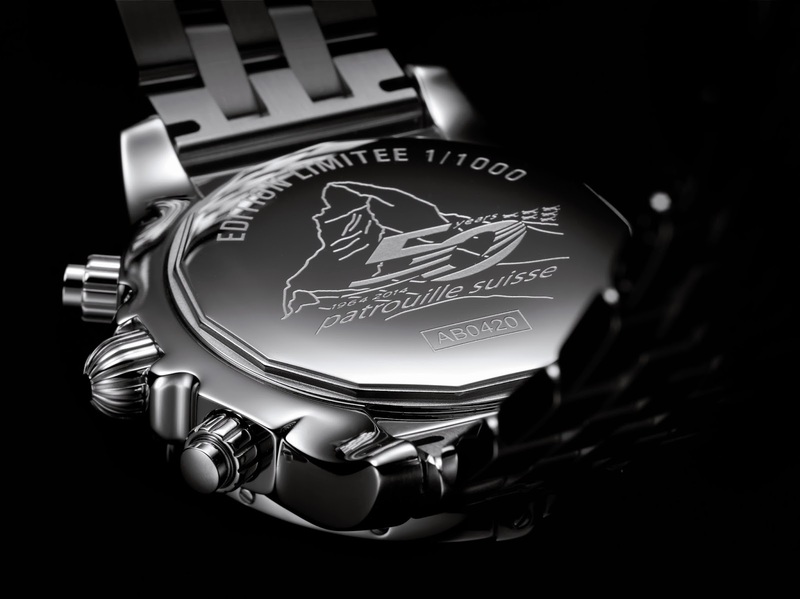 Courtesy of Breitling: Breitling celebrates the 50th anniversary of the Patrouille Suisse by dedicating to this exceptional team an exclusive version of the Chronomat, complete with personalized dial and engraved caseback. 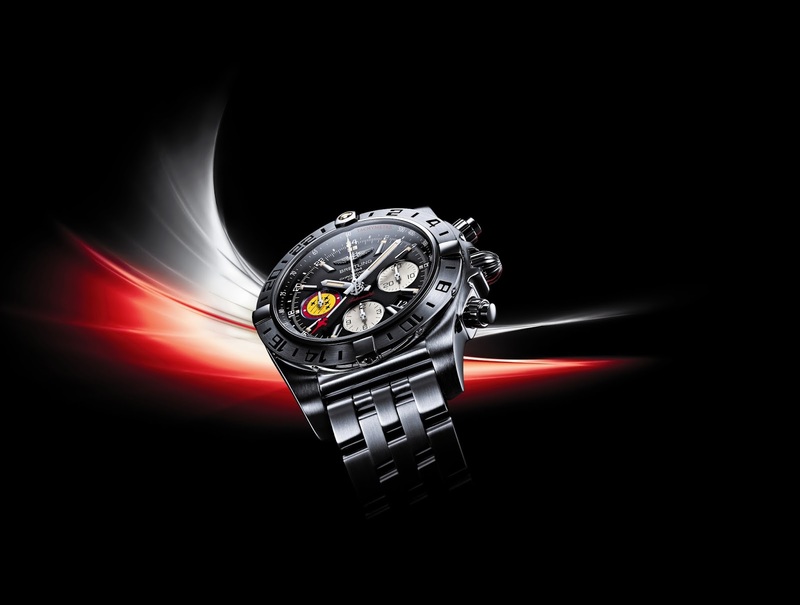 Issued in a 1,000-piece limited edition, this authentic aviation chronograph once again reflects the special ties between the Swiss brand and the world’s elite pilots. Categories: Breitling, Watch Blog | Tags: Breitling, Chronomat, chronometer, chronometre, Patrouille Suisse 50th Anniversary | Permalink. 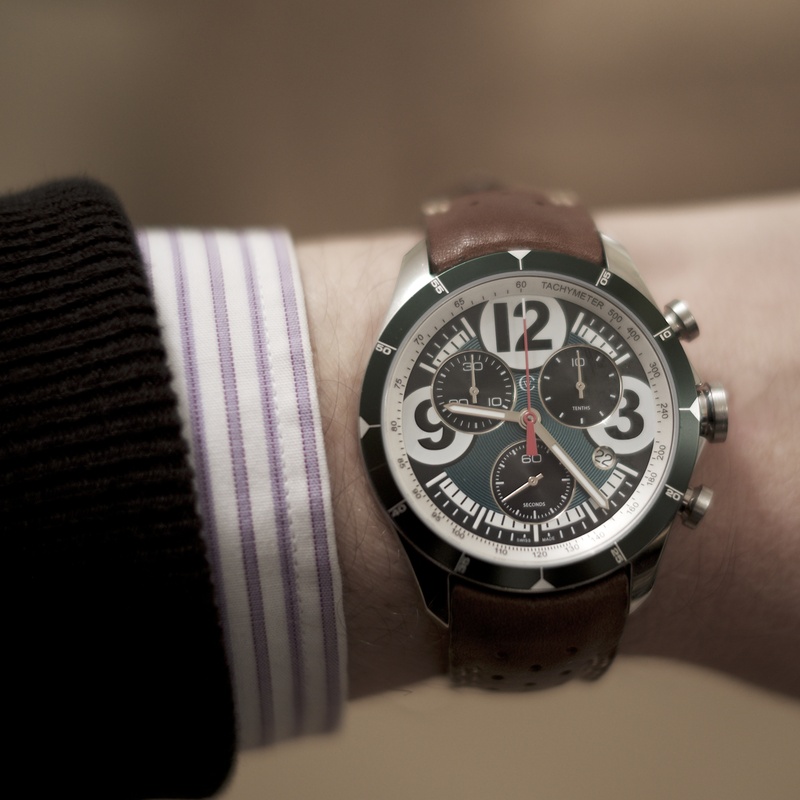 There are a fair few interesting watches starting to peek out from under cuffs at work. My beady eye clocked another Seiko 5. This time the classic Seiko 5 with the offset semi concealed crown. Very nice! Categories: Seiko, Watch Brands, Watch Spotting | Tags: automatic, seiko, seiko 5 | Permalink. 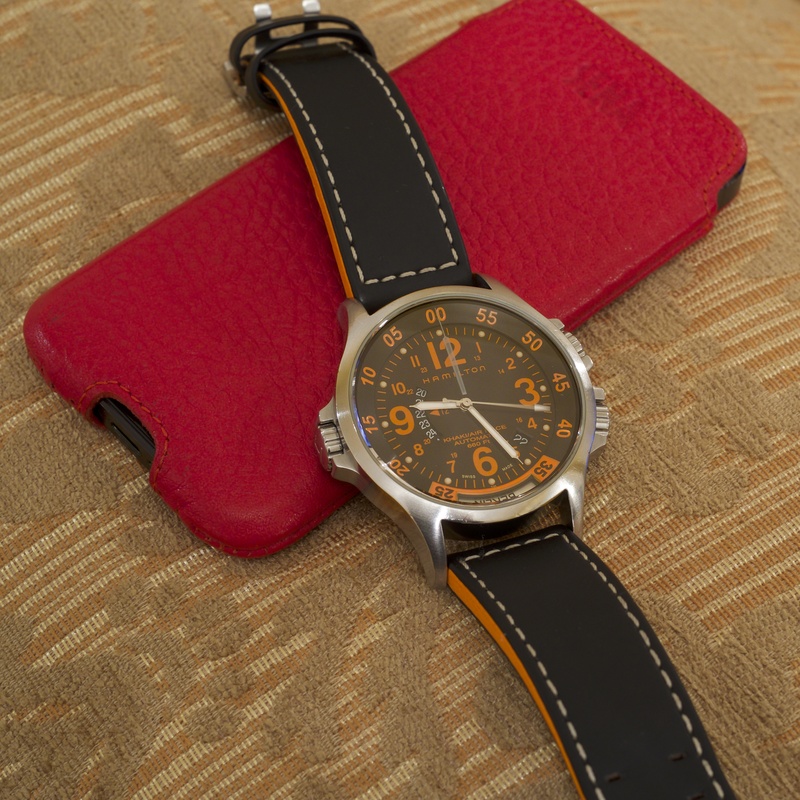 Categories: Hamilton, Wearing Today | Tags: Aviation, Hamilton, Khaki | Permalink. 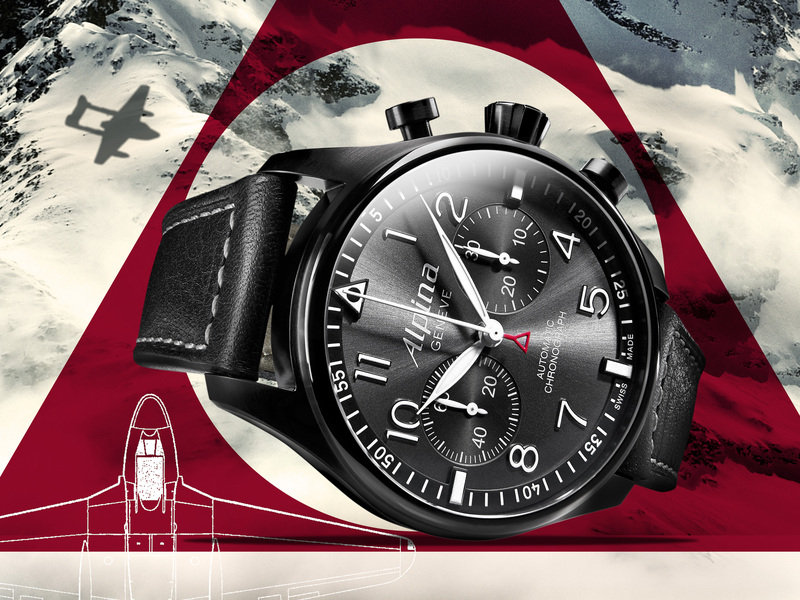 Categories: Alpina, Watch Blog | Tags: Alpina, chronograph, pilot watch, Startimer | Permalink. Categories: Christopher Ward, Wearing Today | Tags: C70, Christopher Ward, chronograph | Permalink. 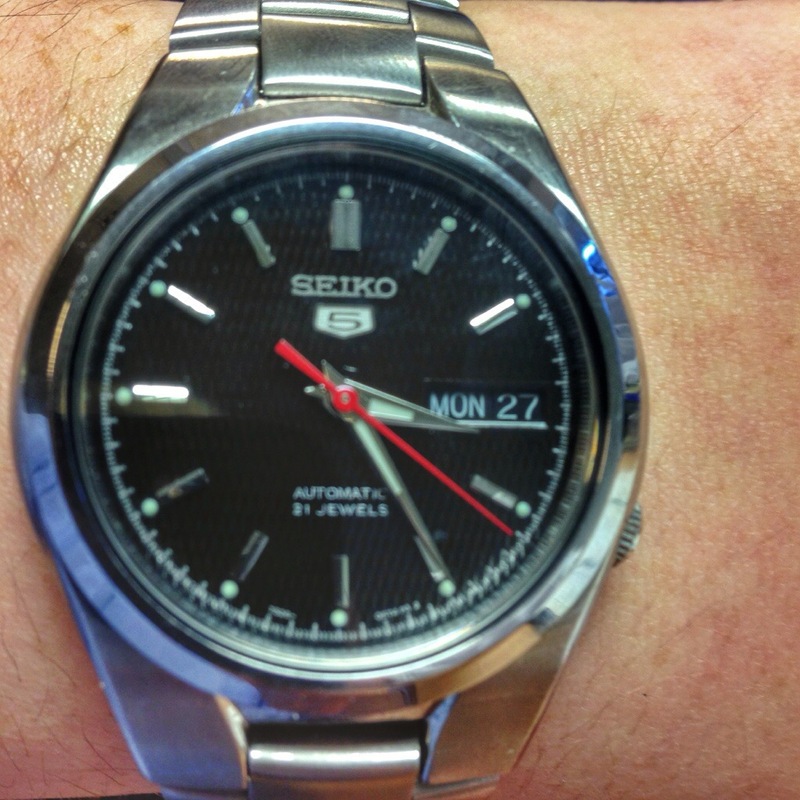 A pal of mine at work has a bit of an eye for an interesting watch and rightly, he proudly sidled up to me to show me this one – a Seiko 5 Automatic. The Seiko 5 has a long history going way back to 1963 and has seen a number of different interpretations over the years. 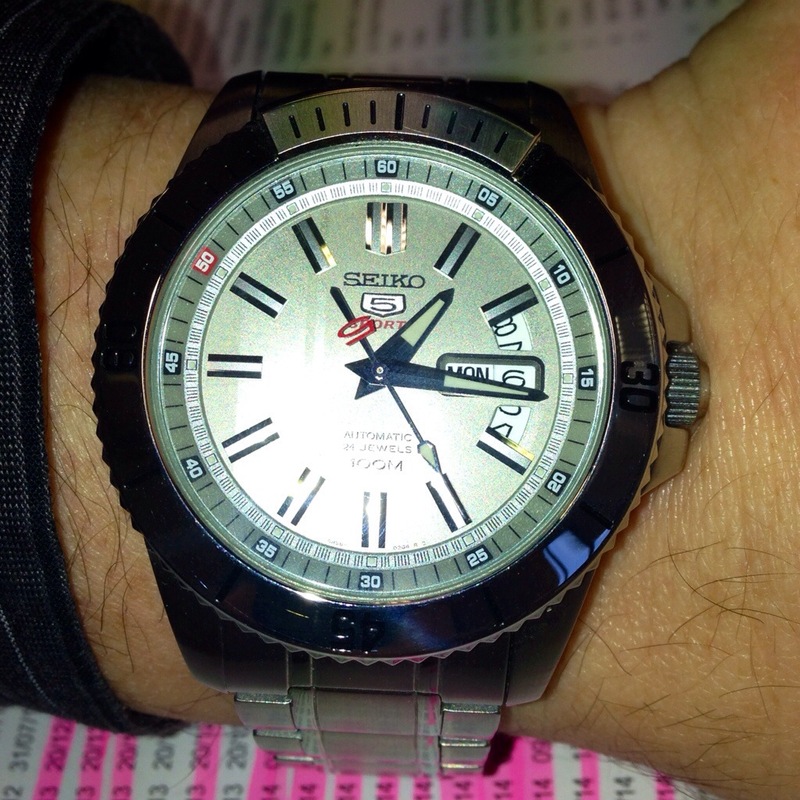 Take a look at the Seiko 5 story on the Seiko website. Because it grew out of the watch itself, the name Seiko 5 was deemed to express what made Seiko great and was chosen. 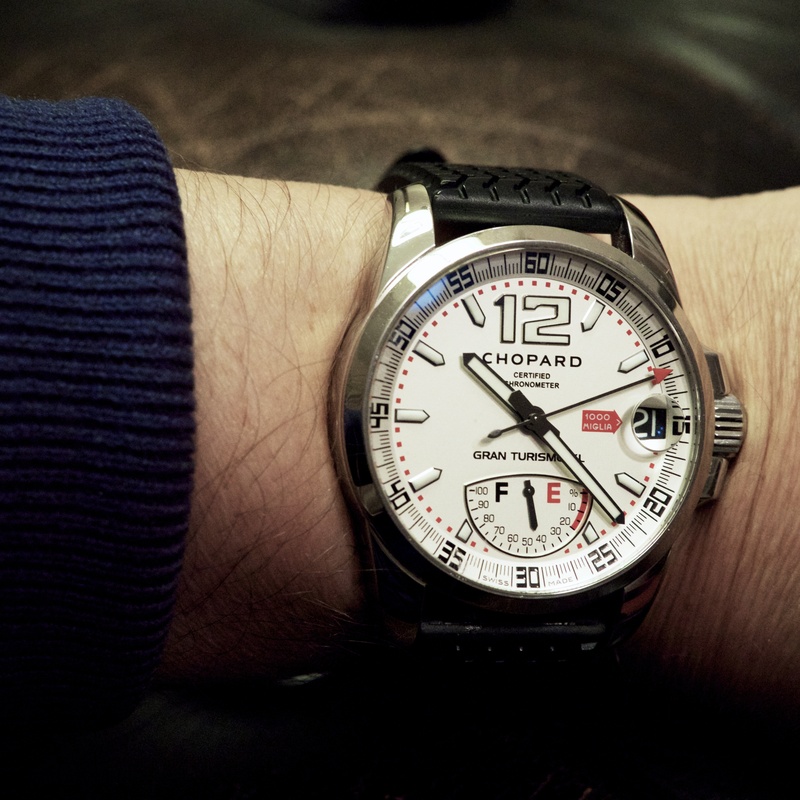 A simple and memorable name for a simple but serious watch. Categories: Seiko, Watch Blog, Watch Brands | Tags: automatic, seiko, seiko 5 | Permalink.